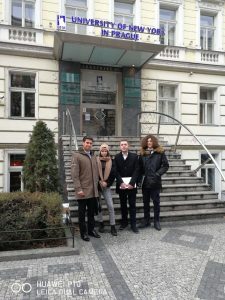 Súčasťou našej školy je aj anglický debatný klub – debate club pod vedením p. profesora Önel. 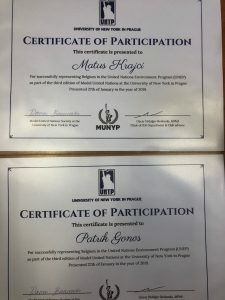 Zopár fotiek z účasti na modelovom zasadnutí OSN na University of New York v Prahe. 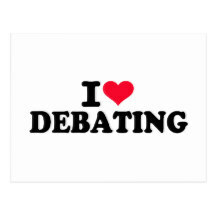 SGCR Debate Club provides an excellent opportunity for students who are interested in current events to engage in the art of civil discourse and discussion. 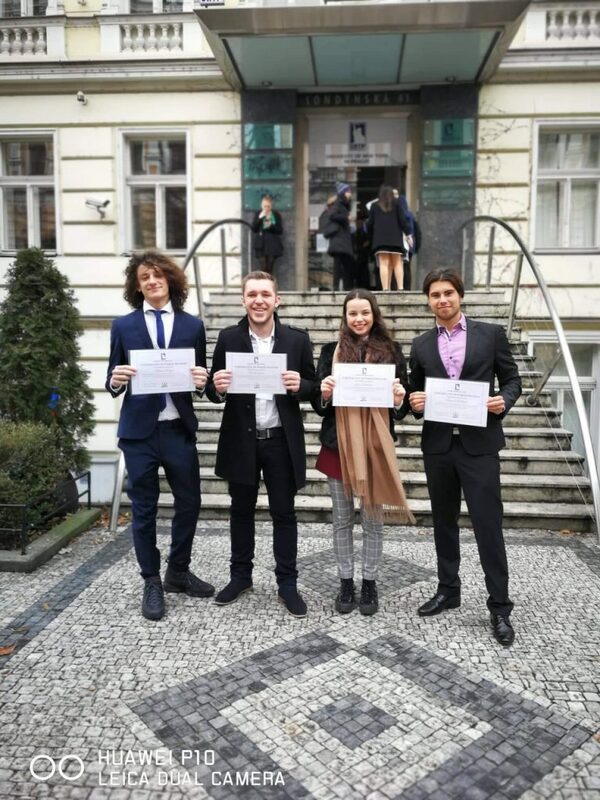 We take the preparation of our cases and our participation in debate tournaments very seriously, however our club emphasizes respect for others, tolerance, learning and fun. Teams compete against other high schools regionally and nationwide as well as internationally. The style of debate used in the leagues are prepared and improvised. Team-based advocacy groups argue either for or against a position on selected issues such as politics, economy science and technology, ethics, environment and global issues. Teams are composed of four or two partners depending on the competition. Cases are argued from either the PRO side or the CON side.